VietNamNet Bridge – Dong Nai tax authorities are considering opening a tax investigation into Suzuki Vietnam as the company’s continuous losses do not reflect its confident investment attitude. Despite continuing to expand its investment in Vietnam, figures from the Dong Nai Tax Department show that the Japanese automobile manufacturer has suffered massive losses over the last five years. From 2008-2012, Suzuki Vietnam reported an accumulative loss of VND413.24 billion ($19.6 million), according to a document that Dong Nai tax authorities shared with VIR. Suzuki has been operating in Vietnam since 1996 with the construction of a motorcycle and automobile plant in Long Binh Techno Park in Dong Nai Province. In 2006, it built a new motorcycle plant to meet demands from the expanding market in Vietnam with an annual output of 80,000 units, also in Long Binh Techno Park. According to the Dong Nai Industrial Park’s Management Authority, in 1996 the Japanese firm committed to invest $109 million in the two manufacturing facilities, over two phases. Since that time, Suzuki has followed through on its construction plans, but total capital invested in the projects only amounts to $51.6 million. The company’s reported losses of $19.6 million between 2008 and 2012 are equivalent to about 38 per cent of its total disbursed capital in the country. During this period, Suzuki Vietnam paid VND180.32 billion ($8.5 million) in taxes, according to the Dong Nai Tax Department. However, it has not had to pay any corporate income tax (CIT) as companies operating at a loss are exempt. 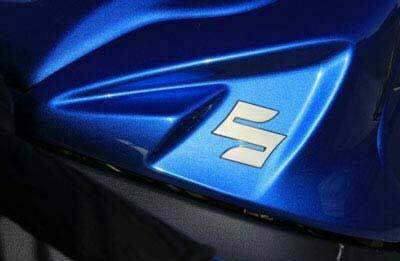 Suzuki Vietnam did not respond to VIR’s interview request by the end of last week. Despite sustaining massive losses, Suzuki has pledged to push forward in Vietnam by building another plant. Construction on its third factory worth $57 million next to the company’s first plant with an initial production capacity of 5,000 units, commenced last year. The company’s confident expansion plan coupled with its reporting of what should be crippling losses have raised eyebrows from tax officials. The Dong Nai Tax Department said that while no evidence of transfer pricing by Suzuki had yet been uncovered, they were collecting information for a full inspection of Suzuki Vietnam aimed at preventing tax evasion.